Arbil Mk 3 Rail Thimble « A.P. Webb Plant Hire Ltd. 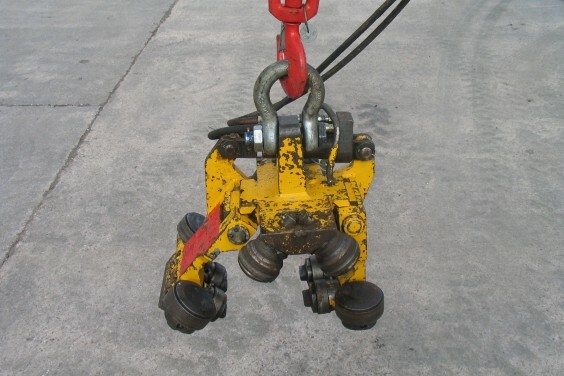 The Arbil Mk 3 is designed to be suspended from chain, hook or shackle from an RRV. 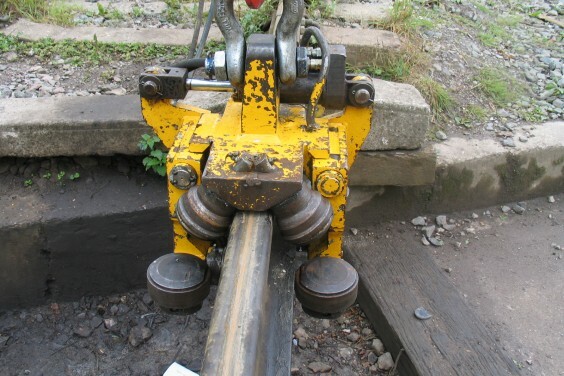 The rollers grip the rail and support it whilst threading.